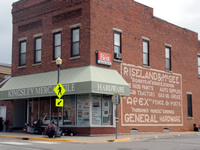 Kingsley Mercantile has a full-line of your Heating and Cooling products. 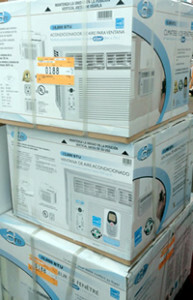 Central air conditioners, window air conditioners, Heaters, Furnaces, Furnace parts and accessories, dehumidifiers, furnace filters, registers, thermostats, fans, space heaters and more! 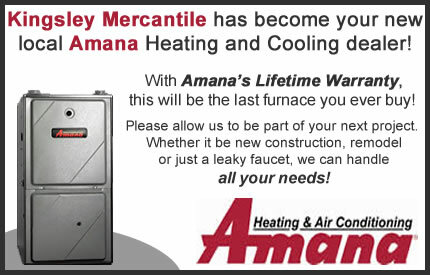 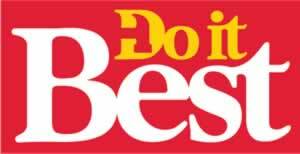 We also have a professional on staff if you are in need of any repair, service and installation of a furnace or air conditioner.